We just wanted to let you know that our first dance went really well on Saturday. All our family and friends were very surprised and absolutely loved it! I’ve sent through a photo so you can check us out on the dance floor. It was only 2 weeks before their wedding, but Megan and Matt decided that they wanted a highlight for the wedding. And that was going to be their wedding dance. They booked their lessons, they practiced and they pulled off a great highlight for their wedding that blew their friends and family away. ​Destine Dance can help you do the same. Looking for the best dance possible with minimal stress, but is still uniquely yours? Click videos below to hear from of other wedding couples getting lessons at Destine Dance. Then read more about why we are best for you. If you have decided that you want to look good when you are doing your wedding dance and you want it to be stress free, then fill out the form below (or contact us) and we will get you in for a risk free lesson (read below for more details on price). 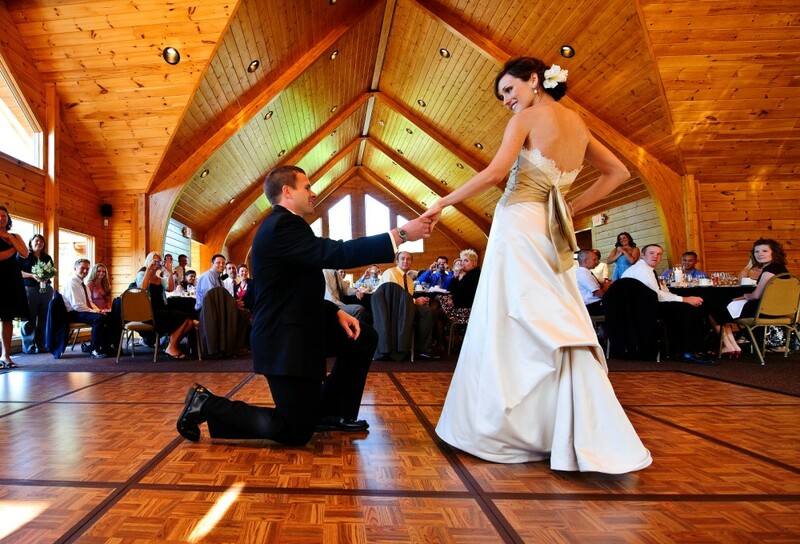 Your wedding dance is a visual and dynamic display of your marriage. It shows the both of you working together and it is also an expression of the two of you as individuals and as a couple. When people speak of weddings and watch wedding videos, it is often the wedding dance that is most notice. We often can't recall what was said in speeches and we kind of remember the food and venue, but we always recall the combination of music, clothing and movement that are all parts of the wedding dance. It is the dance that most often the major highlight of the wedding. ​Because of its significance to your wedding, regardless of the type of wedding dance you want, from a casual obligatory whirl on the dance floor to a full extravaganza, you want to do it confidently and well. And that's what Destine Dance will help you with. We are best for your wedding dance because we create a routine for you and your song. We teach a greater variety of dances than other Melbourne wedding dance schools (Street Latin to Swing to Rock and Roll to Latin American to Ballroom) so we are better able to find a style that is just right. Also, unlike other schools offering wedding dance lessons in Melbourne, we don't just teach you a cookie cutter type routine. Imagine how you would feel seeing another couple do the routine you did at their wedding! We work with you to incorporate the figures and style that you like. The dance will be unique and it will be yours. By all means shop around other options for wedding lessons in Melbourne, but always ask if your dance will be unique and represent you. ​If you have less time, then that simply means you need to choose a song sooner, work with your teacher on a simpler routine that might have already been made for you and keep your cool as you practice more between each lesson. No matter how late you are, we can help you with something so you look good on the day. 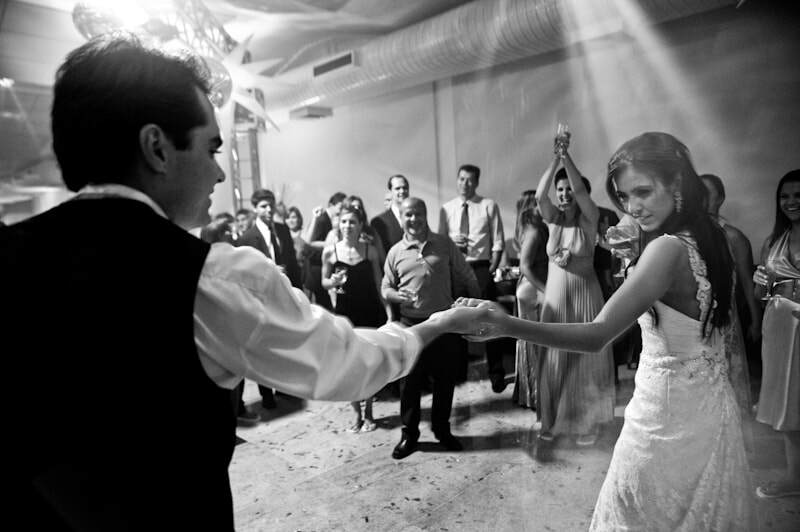 You need look no further for wedding dance lessons in Melbourne. Most dance routines in dance schools are between one and two minutes. For a wedding dance you do not need to draw it out and we would recommend that doing less and doing it well is better. You can shorten songs with modern software and if you have a band or a DJ, then they can help with matching the song to your needs as well. ​How many lessons do we need? ​This is of course a difficult question to answer, everyone is different, but 5 lessons (ours are private) is a good starting point. What is more important than the lessons is practice between lessons. Focus more on time before the wedding, than on the number of lesson before the wedding. ​As mentioned above, practice between lessons is one of the best things you can do. If you can practice a bit together each night and then a bit again separately and then go over it in your mind while going to work or before bed, then all those little practice sessions will add up to good amount of practice. And that means a better wedding dance. What should we do if we make a mistake when dancing? ​That can happen to the best of us; and the best of us know that we keep going and have a plan in place for when such things do happen. We will help you deal with that in your lessons - you will make many mistakes then so you will get plenty of practice in. What if one of us doesn't have good timing? ​we do two things. We help you find signals in the music that are obvious to you so that you can link to those. We finish the song with a highlight that you can tell the DJ or the band about so that they can fade out at the right time. We will either get you staying in time or create the illusion of it. ​What can we do about the pressure of dancing in front of others? While doing your wedding dance, you are also welcome to come to one of our events. It is easy to have you dance in front of people there so that you get the chance to perform under that pressure. That way the wedding will be less confronting. If you happen to have a combined bachelor and bachelorette party, then you can perform there as well. There are usually less people at these events than the wedding so you get the chance to practice with people watching and it is still a surprise to the majority of your wedding guests. If you have the combined bachelor and bachelorette party at the studio, then we can also combine it with a dance lesson for the bridal party to give the rest a few moves and a choreographed time for them to come join you on the dance floor. That can make for a nice transition from your dance to everyone dancing with you. The standard course of 5 private lessons and a practice at a social night will be $450. However, if you feel you need more lessons for any reason, then that can be organised. Fill out the form above or contact us to talk more about how we can help you have the best wedding dance possible. YES!!! Unlike other studios offering wedding dance lessons in Melbourne, who often teach the same routine to all couples, we choreograph a wedding dance that suits you and your song. This is done in class with you so that a dance the is just yours is created. Beware of any studio offer wedding dance lessons in Melbourne who shows you choreography first - it means they simply teach the same thing (not matter the song) to each couple that comes through the door. In case you have not come across them yet, here are some links to other pages on various aspects of the wedding dance. ​Looking for more general wedding information? Then take a look here.